The Towson Tigers aren't worried about the naysayers. TOWSON, Md. 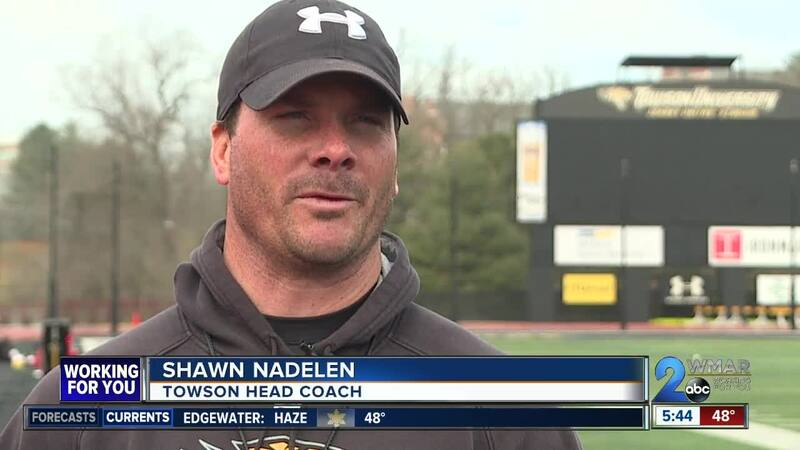 — The Towson Tigers aren't worried about the naysayers. “Being Towson, we're overlooked a lot. We're not ranked this year. Obviously not getting in the (NCAA) Tournament last year was a big bummer for us. We're hungry this year,” said midfielder Timmy Monahan. They missed the NCAA Tourney last year for the first time since 2014. “It really drives us, gives us more meaning to this season and get back to where we were in 2017,” said defender Chad Patterson. That year they made the final four. While the Tigers are trying to rebound on the field, they're also looking for a smoother season away from the action. Midway through last season senior Sid Ewell was suspended two games while juniors Jon Mazza and Dylan Kinnear were banned for the season because of a violation of team rules. “The way the season went, more off the field, that's been the sting for these guys,” said Head Coach Shawn Nadelen. None of the suspended players are on the roster this year. 2019 brings with it one of the toughest non-conference schedules in the country for Towson. Among their opponents over the next month-and-a-half: Georgetown, Loyola, Cornell, Duke and Denver. “We're going to play some high-caliber teams to be able to earn some tough wins, hopefully,” said Nadelen. “I can't wait to play all those big-name schools and just really show the world what Towson lacrosse can do,” added Patterson. Game No. 1 brings the first big-name school. The Tigers will host No. 7 Johns Hopkins. The Tigers and Blue Jays are set to face-off Saturday at Unitas Stadium at Noon. Also at the same time on Saturday, right down the road, is another huge game nationally. No. 4 Loyola hosts No. 6 Virginia.